If you forget your Parent Settings passcode, follow these instructions to have the passcode emailed to you. On the passcode screen type the numbers 9876543210. 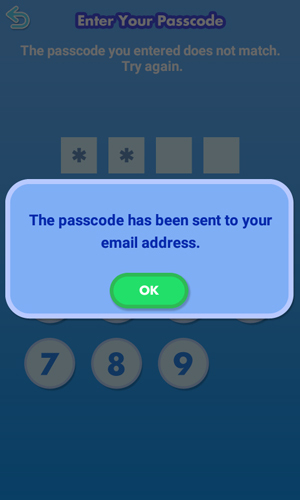 After the first 4 numbers you enter, you'll get a message that the code you entered is incorrect. 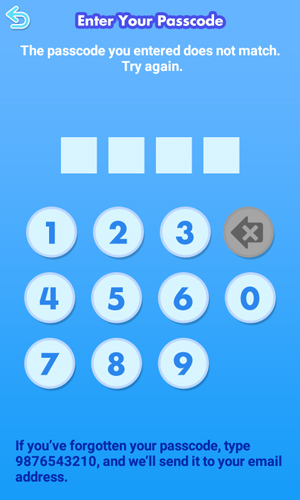 Keep typing the numbers in sequence until you get to 0. 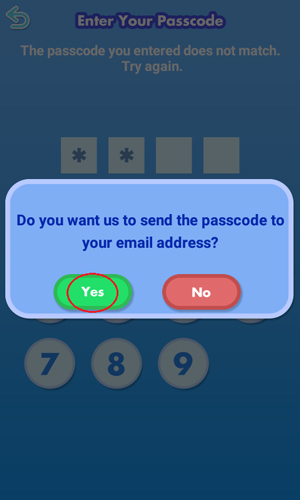 A pop-up will appear asking if you want to have the passcode sent to your email address. Select "Yes". Check your email for a message from VTech® with the passcode inside.